KONG toys can be washed in the sink using warm water, soap and a bottle brush or toothbrush. 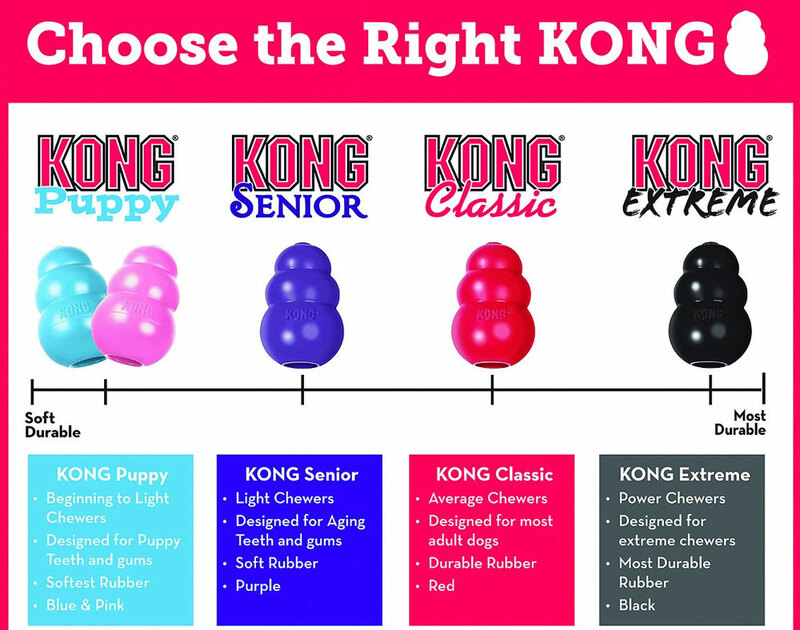 For truly tough gunk removal, KONG toys are top-rack dishwasher safe (skip the heated dry cycle). Precautions Every dog plays differently and, since not all toys are created equal, it’s always best to keep a close watch on your pup in case things get ruff. 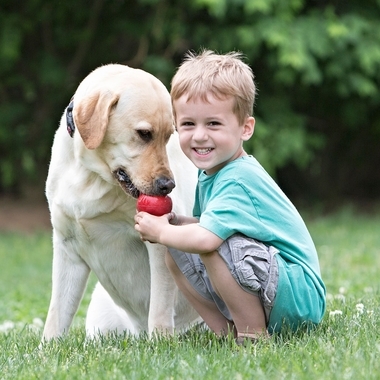 Supervised play will help toys last longer and most importantly keep your pal safe. 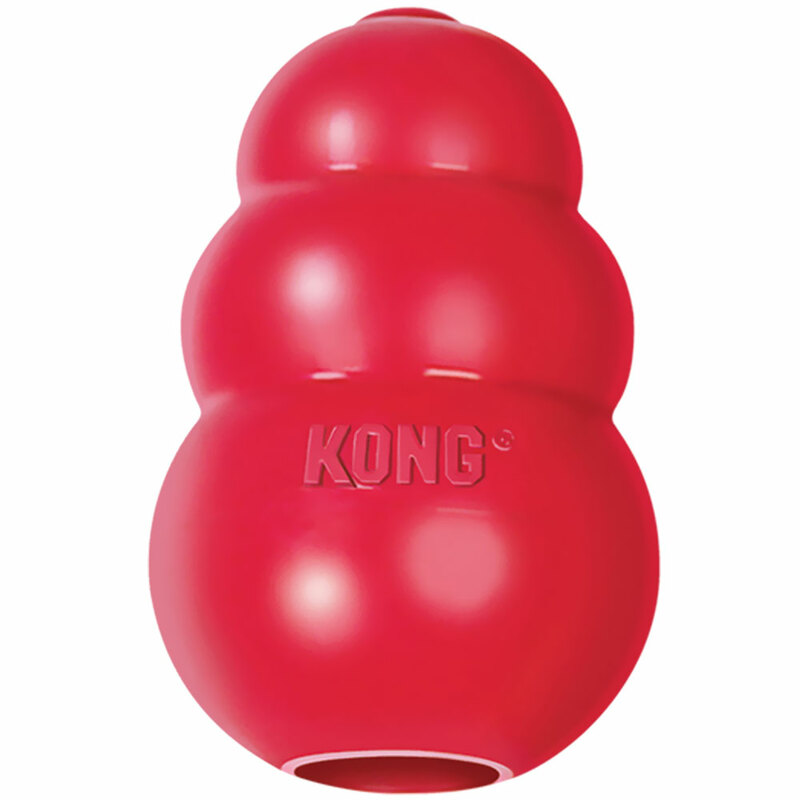 No dog toy is truly indestructible, so always remove the toy from playtime if pieces begin to break off. 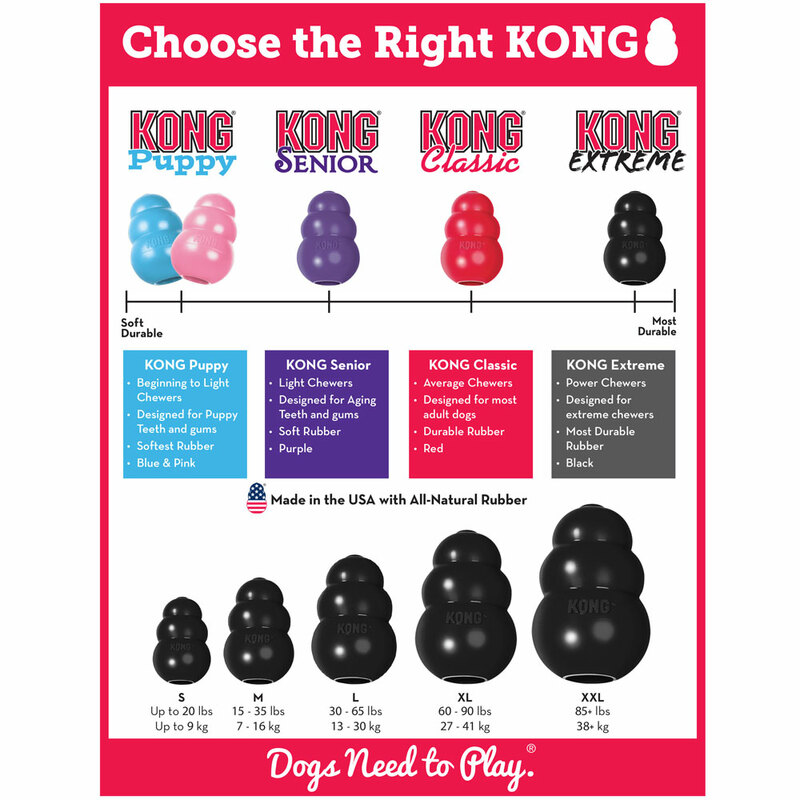 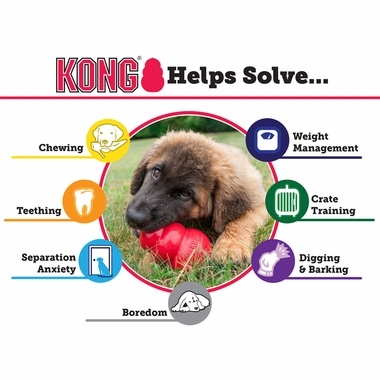 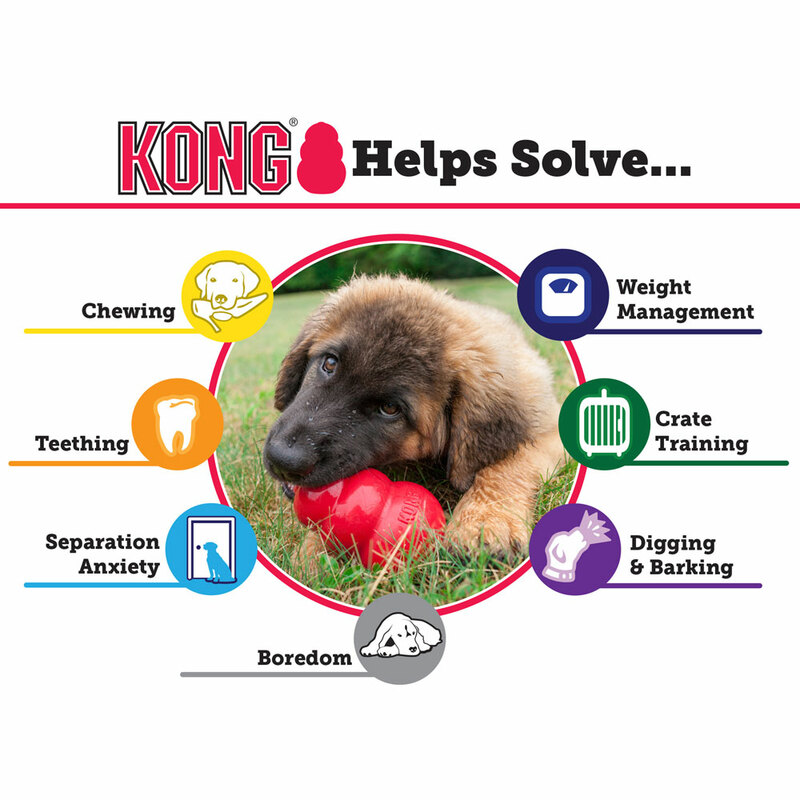 Power chewers: Increase one or two sizes or try KONG Extreme.